This post deals with the common experiences of moms who have lost a baby. 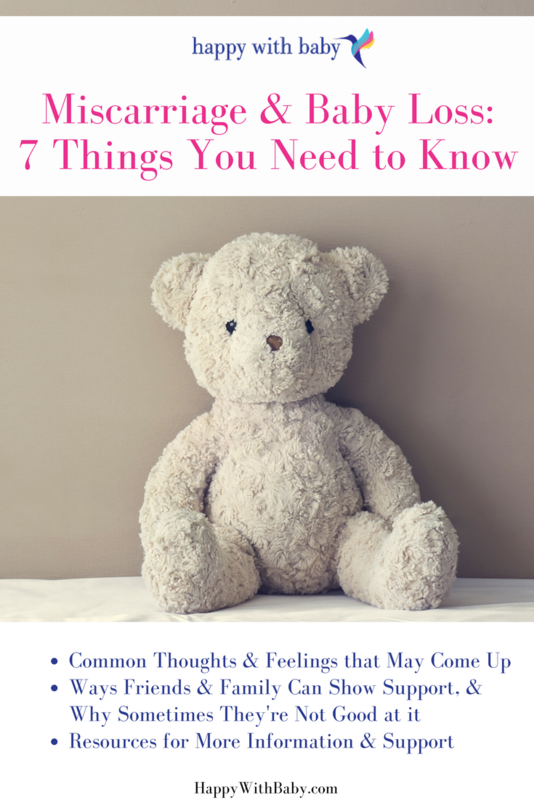 If you have experienced a miscarriage or baby loss and the grief feels too raw for you right now, please honor how you’re feeling today and consider bookmarking this post for another day when you’re feeling stronger or more ready. Or, simply skip the content and scroll to the bottom of this post to access the short list of support resources I have included for you. This Sunday (Oct. 15) is Pregnancy & Infant Loss Remembrance Day, and all of October is Pregnancy and Infant Loss Awareness Month. To honor that and the moms* who have lived through the experience of a miscarriage or baby loss, I wanted to share with you just how common the occurrence is, what the experience can feel like for some moms, and ways friends and family can help. When you take into consideration all the statistics of miscarriage, fetal and infant deaths (this includes miscarriage at any stage of pregnancy, stillbirths, NICU and SIDS infant deaths), all of those numbers ultimately mean that 1 out of every 4 pregnancies ends in baby loss. I say this not to scare anyone, but to assure anyone who has experienced this that you are not alone. 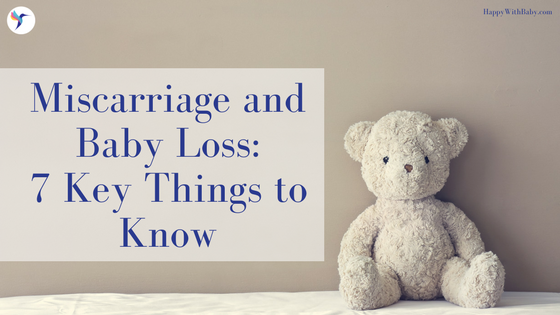 I have worked with many couples who have experienced miscarriage and baby loss, and while every mom’s experience and feelings around it differ, there do tend to be some commonalities. If the loss is early on, many moms tell me that people simply don’t understand. They act as if they should be over it and ready to move on. They might have even told them that it was for the best, if the baby or fetus wasn’t healthy or viable. This can especially be hurtful for women who have been struggling with infertility. But, grief always looks different for everyone. These commonalities I hear from moms aren’t necessarily the rule. So regardless of what your grief looks like, let’s discuss some important points to keep in mind. We really shouldn’t overlook the fact that any time a body is no longer pregnant (regardless of whether the pregnancy ends via healthy childbirth or any other means), there are huge changes to hormones and brain chemistry that happen afterward. This inevitably will affect mood and the possibility of depression, anxiety or other mood disorders--all that on top of the grief from loss. This is a lot for anyone to sift through. If you have experienced baby loss, I say this to validate whatever it is you might be feeling and give you permission to take your time. Every mom grieves this loss differently. Some moms are ready to move on as quickly as possible and others need more time, attention and nurturing. There’s no wrong way to do it. Moms, your relationship with your partner might be impacted. Just like every mom reacts and grieves differently, so do their partners. It is not uncommon for it to take longer for the partner to grasp it, which makes it appear as though they’ve moved on faster at first. Try not to judge each other, but do stay communicative and supportive. Moms may feel like their bodies let them down or that they’re a bad mom because they couldn’t keep baby alive. This is a common response and part of the grieving process, but so is coming to terms that it isn’t mom’s fault. Sometimes grief triggers can be predictable--like due dates and birthdays--allowing you to prepare or head triggers off. And sometimes grief can pop up at surprising moments, leaving you feeling blind-sided. Don’t let the blind-sided moments lead you to believe that you haven't made progress in your healing. Many moms say they learn who their true friends are in the process. The ones who are there for you no matter what will reach out and show up, even though the help they are able to give might be imperfect. While other friends just seem to disappear. If a friend is trying to be supportive, but it isn’t the right kind of support at this time, it is completely OK to only accept and surround yourself with those that can offer the support you do need for now. Sometimes women can question their identities as mothers after this kind of loss as well. They might feel like they aren’t “mom enough” or they might be absolutely sure of their mom identity despite their loss. This piece can be a complicated or contradictory mix of emotions and thoughts. However a mom identifies, this is her truth. And there are other mothers out there who feel the same. If you know someone who recently experienced miscarriage or baby loss, the best thing you can do is continue to be present. Check in with them. Text, call, email, stop by for a visit. You don’t need to be incessant about checking in on them, but do be consistent even if they aren’t responsive to your check-ins. Just your letting them know that you’re there for them or that you’re thinking of them, even if responding doesn’t feel like the right thing at the moment, can help them to know that they are supported and can go a long way. Another thing you can do, if you’re planning to meet up, is offer to show up solo. Leave the kids home with dad or get a babysitter. This can give your friend the opportunity to respond however they need to without feeling like they have to keep it together or censor themselves. And it can also remove the potential for being triggered or reminded of the child they don’t have. *I use the term “mom” to refer to the pregnant or birthing parent for the sake of simplicity in the writing, but I realize this is a gendered term that doesn’t always correctly reflect the identity of the person. Gender is much more complicated than male/female, or mom/dad. If you’d like some more support on this issue, please feel welcome to connect with me. If I’m not the right support person for you, I’m happy to help locate people or resources that are. If you are expecting and would like some additional support in knowing what that first year with baby will really be like and creating your postpartum plan, while also building a stronger foundation with your partner, join me and other local couples for my upcoming workshop, "Mine, Yours, Ours: Relationship Survival for Baby's First Year".